After a while, TCMA's red borders and blocky team names all blend together. The company produced 52 different (!) team sets that year, so this blog will have a virtual deck of cards once they all get an entry. 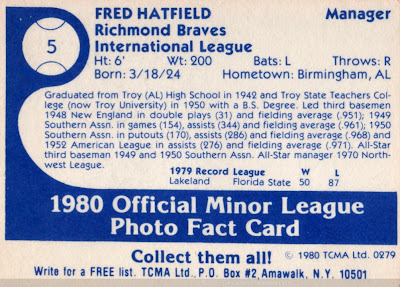 As you might guess from the uniform, Richmond served as a AAA affiliate for Atlanta in 1980, which they did nonstop from 1966 to 2008. Prior to the 2009 season, they relocated to Gwinnett, Georgia, chasing a more lucrative stadium deal. Fortunately for local fans, the Giants filled this gap by moving one of their AA teams to Richmond. CATCH SQUIRREL FEVER! Note that TCMA invites you to write for a free list of cards and "collect them all." 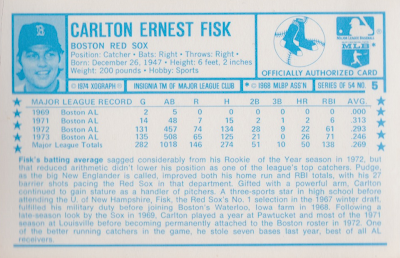 Putting together 50+ sets would've been a huge task in 1980--and remains one today--unless you had enough money to buy them en masse from the maker. It's a good bet at least one oddball dealer owned all the sets at one point, but I wonder if a collector ever did? 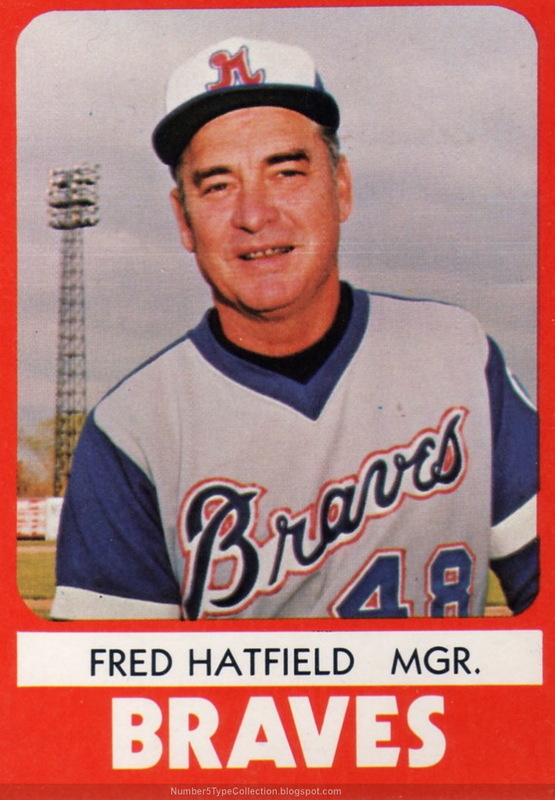 Value: Coach Hatfield cost me $2 from Beckett Marketplace, about right for "common" minor league players. 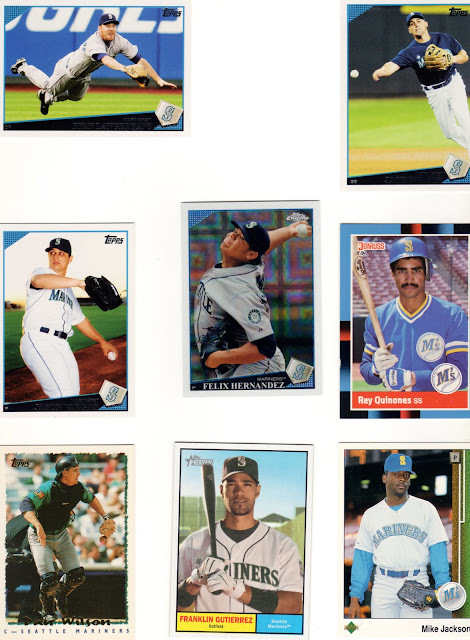 Fakes / reprints: Haven't seen any TCMA minor league reprints in the market. Baseball fans seem to really like the Mud Hens, and I bet it's not because their female mascot's named "Muddona." Perhaps longevity bred familiarity and affection, as the team name traces all the way back to 1896, when the American Coot, aka "mud hen," made its home in Ohio's ample marshland. Given the uniform's strong American colors and "serif-T" hat, I expected Toledo to be a Texas affiliate, but they served the Twins in 1980. That relationship ended in 1986 and they've been a AAA team for Detroit ever since. 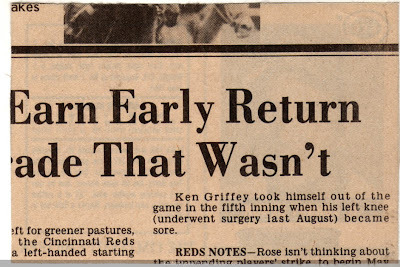 As a baseball-mad 7 year-old in 1979, I fell asleep with the Seattle team set clutched to my breast on more than one occasion and pored over every stat line as if gold nuggets would pop out of the newsprint. Just about every player who took a turn at bat or pounded a resin bag that year found a welcome chair in my baseball world. 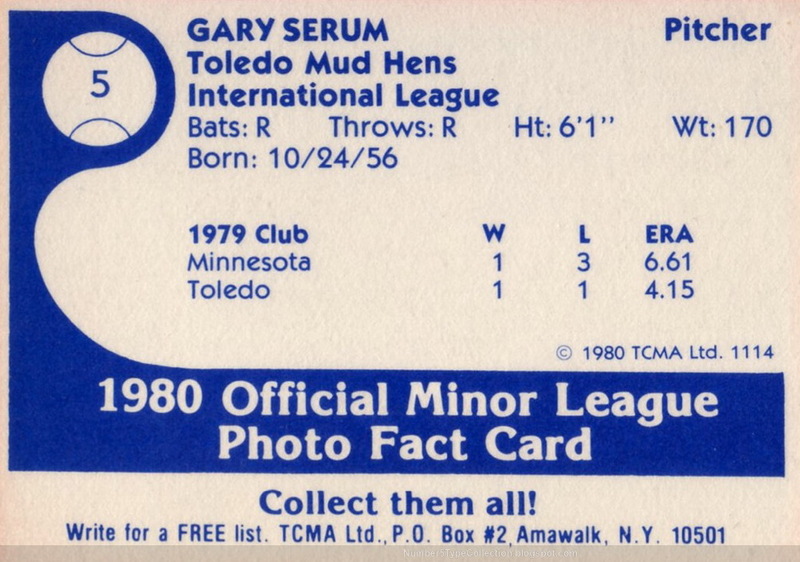 Serum spent most of 1978 in Minnesota's rotation, garnering 23 starts and 9 wins, but split 1979 between the Mud Hens and Twins. 1980 marked the beginning of his end, as Gary failed to make the major league roster and spent 3 more years in the minors before retiring at age 25. 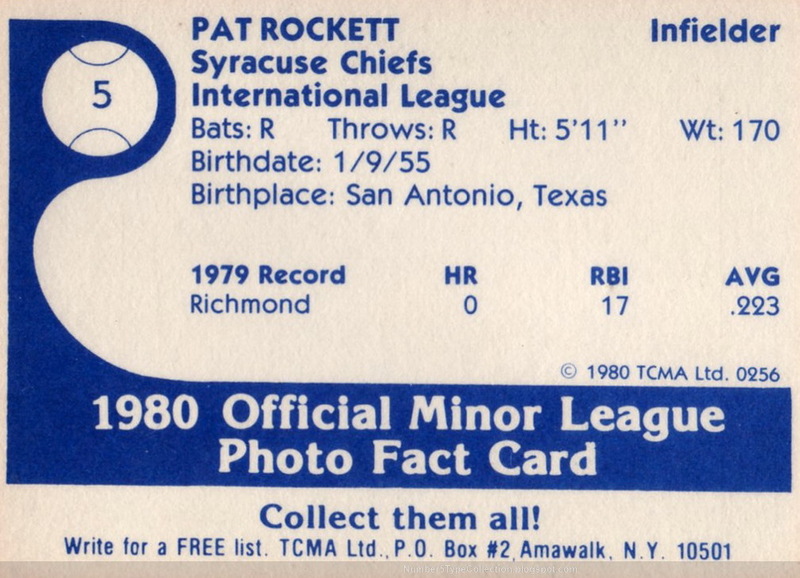 Value: You can find TMCA minor league singles on eBay and Beckett Marketplace for a dollar or two. Fakes / reprints: I've never seen a fake of a "common" minor leaguer and would be surprised if one turned up. 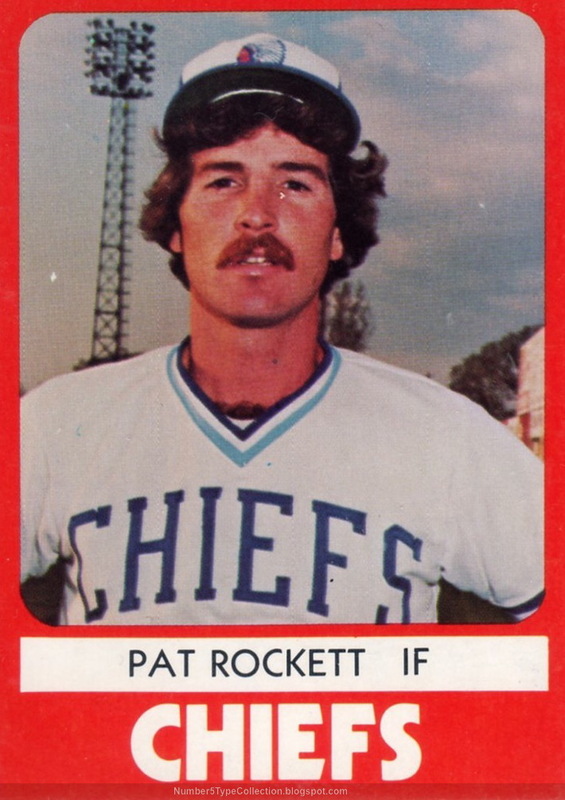 Pat Rockett hit a single MLB homer in 152 career games for Atlanta. That's one more than I ever hit, of course, but even an average blogger might've slugged better than the .155 (not batting, slugging!) 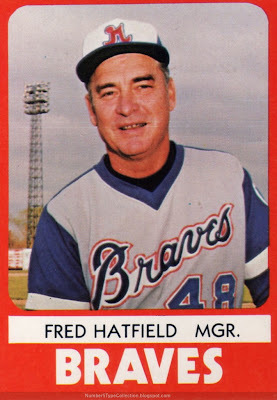 he managed in 1978. 1980 marked Pat's final season in pro ball, when he logged 81 games for Toronto's AAA affiliate in Syracuse, NY. He set a career high in walks that year and broke .350 OPB for the first time. Unfortunately, with infielders Alfredo Griffin, Damaso Garcia, and Roy Howell playing every day for the Blue Jays, slim "breakthrough" odds might've pushed him to try another line of work. Value: Non-star TCMA minor leaguers cost a few dollars at most and that's how much I paid for this one on Beckett Marketplace. 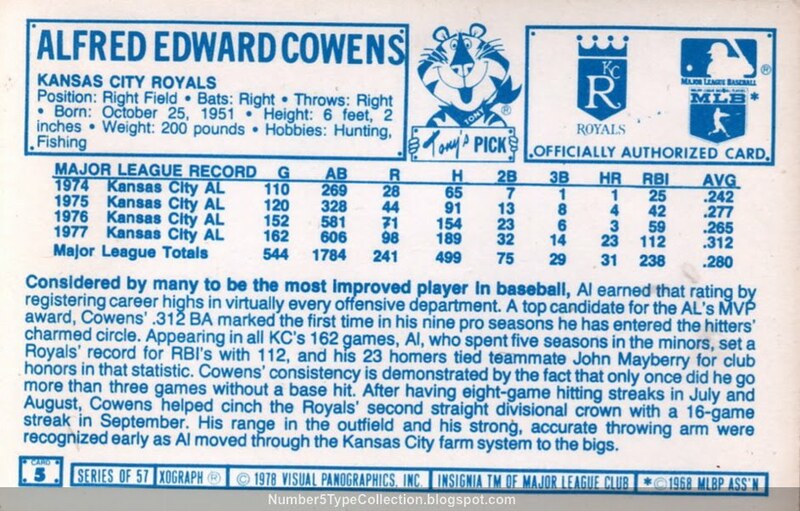 Fakes / reprints: Unless it's superstar like Cal Ripken or Albert Pujols, I doubt folks would try to reprint a modern minor league player. 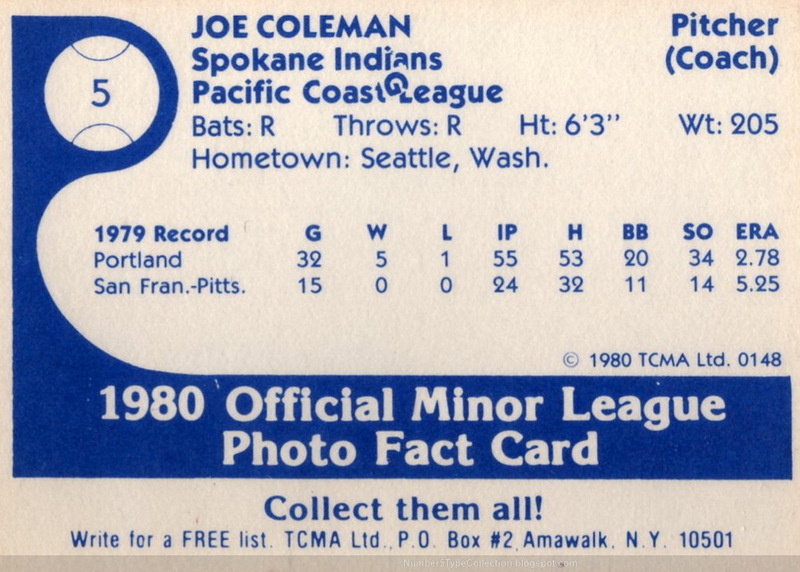 Joe Coleman, Jr. covered a lot of geography in uniform. 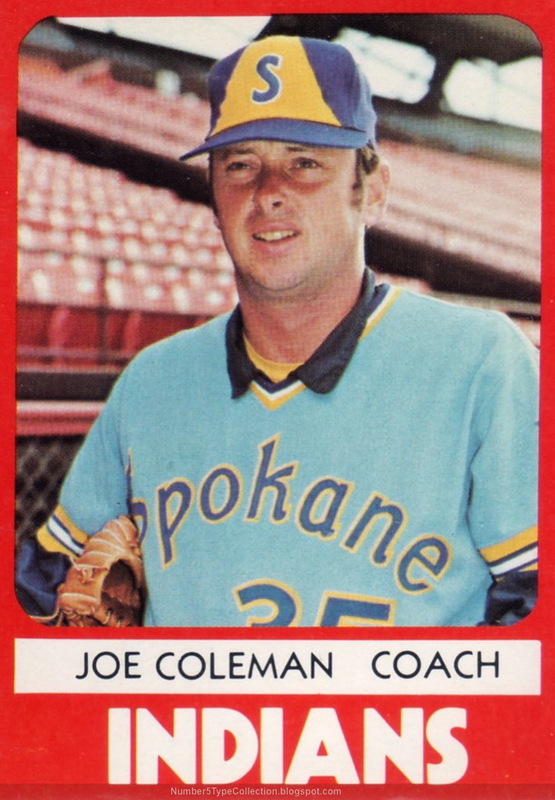 Just 18 years old at his (Washington) Senatorial debut, Joe eventually pitched for 7 teams, wore 13 uniform numbers, and totaled 145 career victories. 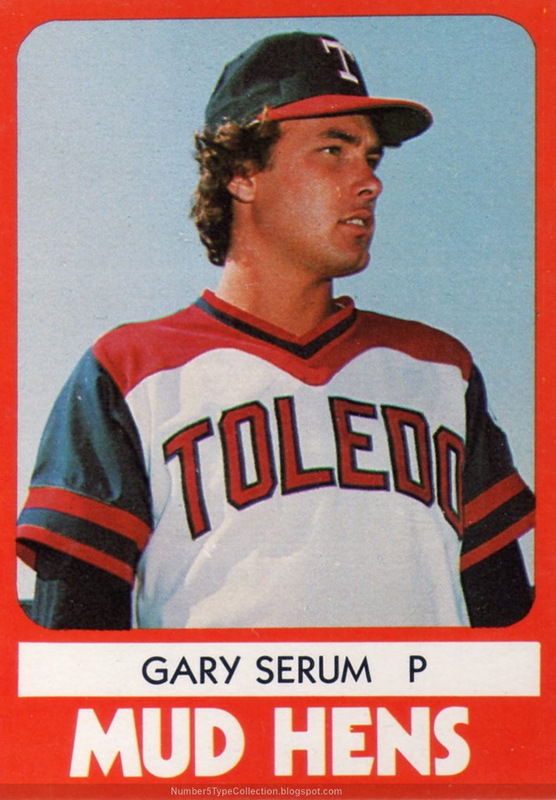 No longer able to find big league work in 1980, he signed to pitch and coach with Seattle's AAA squad, the Spokane Indians. After 3 seasons in Spokane, Joe switched to coaching pitchers full-time. He's currently with a Detroit affiliate, the Flying Tigers of Lakeland, Florida. These stats munge Joe's 1979 somewhat. He started the year with San Francisco, making 5 brief relief appearances before they released him in late April. Pittsburgh signed him to a AAA contract in May, where he proved an effective middle reliever. A final September call-up netted 10 big-league games with the eventual World Champions and he picked up an airbrushed 1980 Topps card for the effort. Value: TCMA printed their minor league cards in larger numbers by 1980, so you can find them for a few dollars on eBay or Beckett Marketplace. Fakes / reprints: I haven't seen any reprints in the market and doubt someone would take the trouble for anyone other than a superstar. On June 23, 2010, the New York Mets hosted (and beat) Detroit's "Tigres" on Venezuelan Heritage Night. Given our southern neighbor's longtime importance to the sport, how could this card not follow? 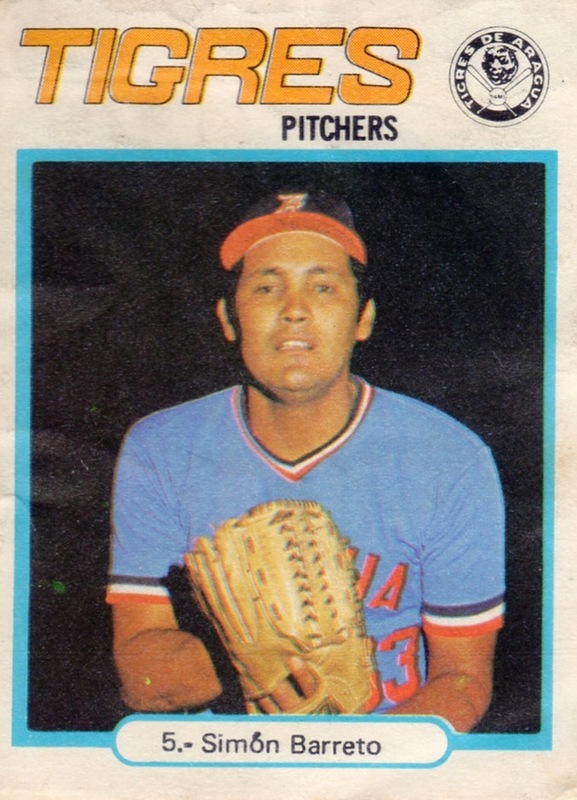 Simon Barreto played in the American minor leagues from 1971 to 1973, compiling 8 wins and 9 losses. Whether by choice or for lack of options, his career then moved south to baseball-friendly Venezuela. Unfortunately, foreign stats are hazy from that era, so I don't know how he did prior to this photo with the Tigres de Aragua. He looks brightly arrayed, if nothing else. I normally don't show blank backs, but this one includes an album remnant. 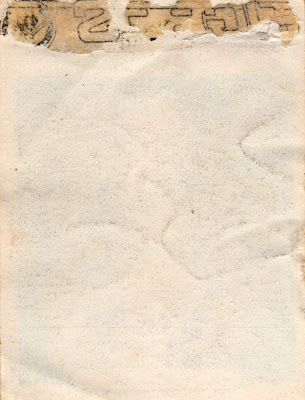 Its collector pasted Simon onto the page, but later thought better of it and pulled him away. 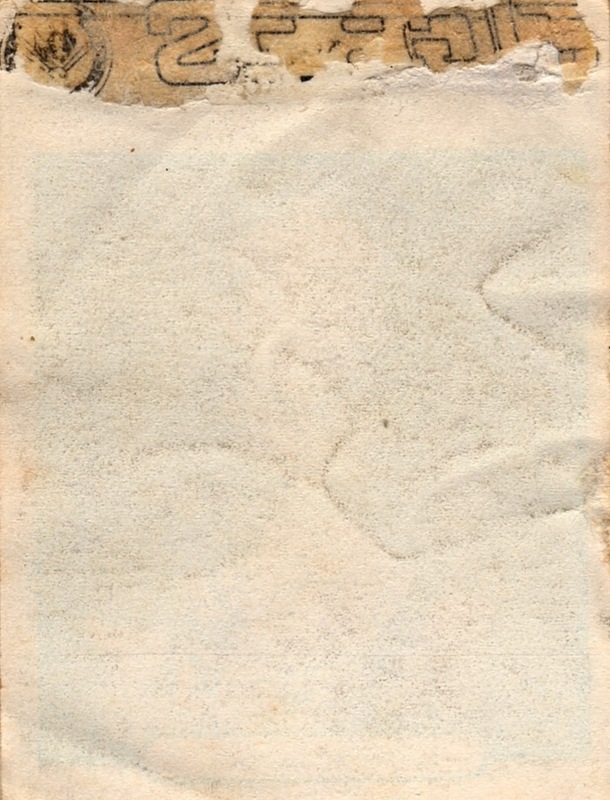 This residue matches the card front, with both Tigres and their team logo. This 402-sticker set features a great deal of local talent like Barreto, but also reprints portions of 1977 Topps itself. 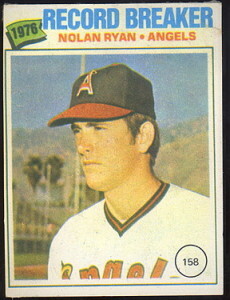 I'm sure player collectors gnash teeth at the inclusion of guys like Nolan Ryan and Reggie Jackson in its checklist, given their rarity and expense. 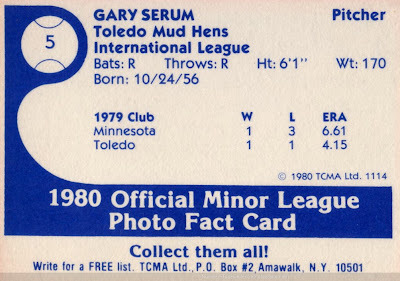 UPDATE: OldBaseball.com trading friend Rick shared these scans of a new-to-him album purchased with most of the set already mounted inside. Amazing pick up and the first intact album I've seen. 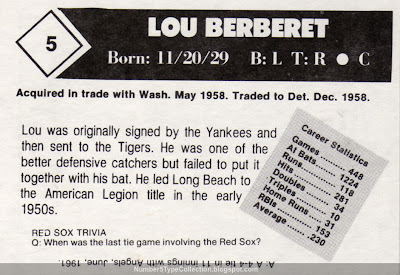 Value: "Common" players like Barreto cost $5 to $10 each, unless they miraculously escaped being taped into an album and remained in higher grade. MLB stars can cost hundreds, though so few are actually available that it's hard to set a consistent price. Fakes / reprints: Haven't seen any definite fakes, but would be wary. 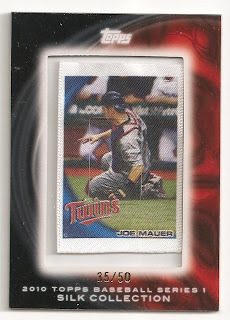 It has thin paper and cheap printing, so would be easier to counterfeit than most Topps sets. Poll: How long will you wait for an eBay transaction? On May 3 (of 2010), I bought the wrong thing on eBay. It's a case of mistaken identity, where I watched two cards and ultimately bought one thinking I had the other. Thousands of transactions since 1996 and I can still push the wrong "Buy It Now" button! The seller advertised a 7-day return window, so I confirmed his policy by email, repackaged the "wrong" card, and dropped it in the mailbox with money for return postage. On June 1, I emailed to confirm receipt of the exchanged card, since it'd been a couple of weeks. The seller said it arrived OK, but that he was out of country until mid-June. If needed, he could tell his office to send it ASAP. "No problem," I said, "and no rush. Just send it once you're back." And waited. Being June 24th, it's been 7 weeks since the original purchase for under $10, and I assume it'll take another reminder email (and waiting into July) at this point. So today's poll question: What's your "longest" eBay transaction, at least for something that wrapped up successfully? Weeks? Months? A year? 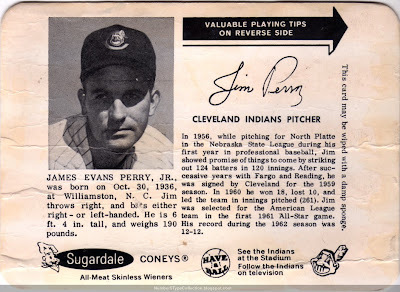 After two promising seasons at 23 and 24, Perry's performance sagged in 1961 and 1962. 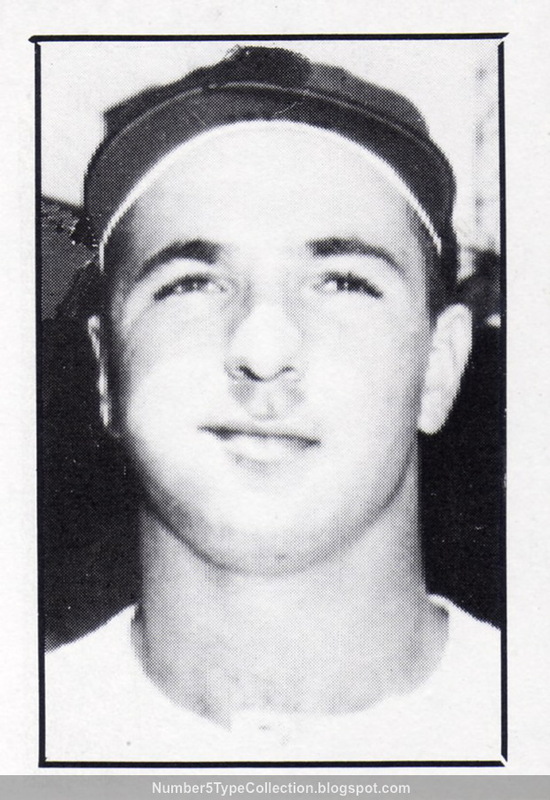 After 5 poor relief appearances in 1963, Cleveland swapped him to Minnesota for similarly shaky starter Jack Kralick. Teams rarely make 1-for-1 position trades, but both pitchers benefited from a change of scenery. Kralick won 25 games for Cleveland over the next 2 years and made the 1964 All-Star team. 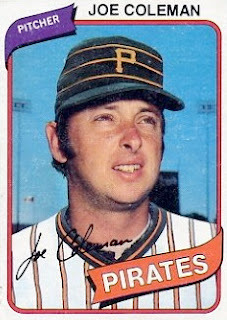 Perry anchored Minnesota's rotation for 10 years and won the AL Cy Young in 1970. Cleveland traded Perry to Minnesota in early May, so Sugardale withdrew him from the packaging process and released relatively few of them. They didn't replace Jim with anyone, so #5 became a scarce short-print. 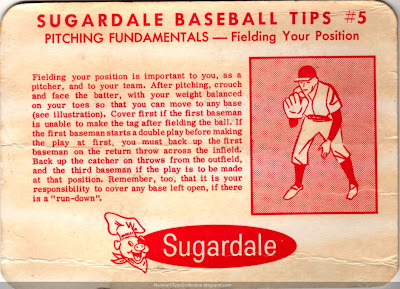 Value: Only a couple of 1963 Sugardale #5s made it onto eBay over the past few years. Given their scarcity, I was happy to win this low-grade example for $60. Fakes / reprints: This oversized card is nearly 3" x 5" and has a protective plastic coating, so would be tough to credibly reprint. While I haven't seen any in the market, it's possible someone would take advantage of its scarcity to make an attempt. If you're looking for a 1963 Sugardale type card, go with someone cheaper than Perry. OK, they're an Alpine country and those are supposed to be mountains. Still looks like Charlie Brown to me. Check out Punk Rock Paint today for an artful combination of both concepts! I like cards that catch players enjoying themselves. 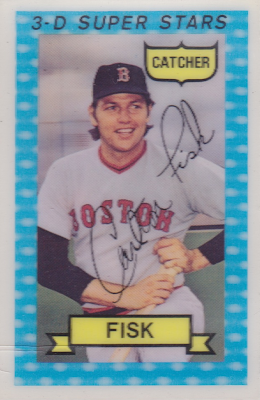 This one's a slightly odd kneeling-with-bat pose, but Fisk makes it look good. 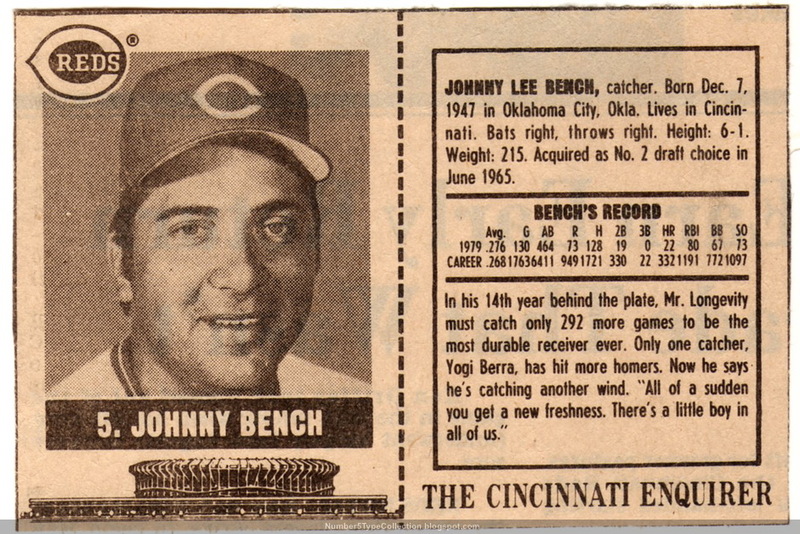 His power, game-calling, and reliability matched up well with a generation of great backstops that included postseason rivals Johnny Bench of the Reds and Thurman Munson of the Yankees. Value: Fisk is a Hall-of-Famer and fan favorite, but Kellogg's cards plummet in value once the surface starts cracking. (Check the lower-left corner, near his name banner.) Low-grade versions will cost $5 or less. Fakes / reprints: The distinctive plastic and paper combo makes counterfeiting a Kellogg's pretty tough. I've never seen one in the market. Today's distinctive 132-player set is actually a 66-card issue, all picturing a pair of baseballers on one piece of cardboard. Topps "reused" a portion of each picture by adding an off-center fold. When "closed," you get a player like Gordon Jones on one side and stats on the other. It seems odd that the higher-numbered player gets the front, but let's face it, the whole set's a little unusual. 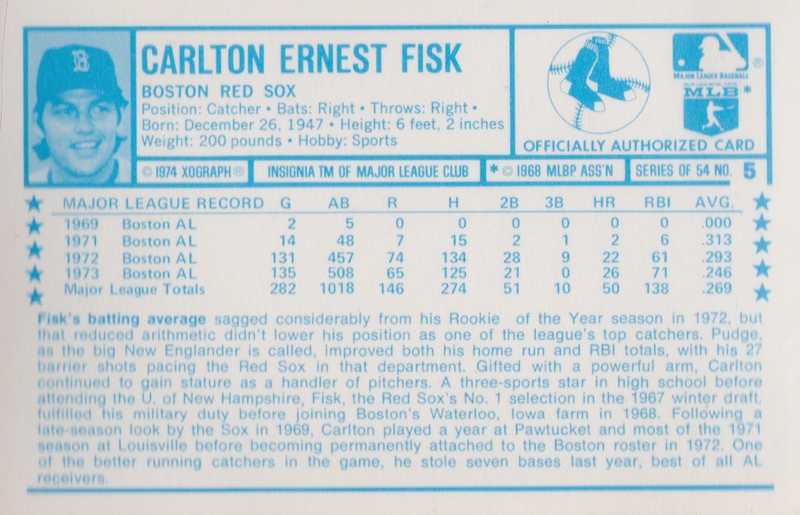 Compare Ted's "huge bonus" bio to his Mendoza line batting average. Three homers in 134 games doesn't make the Phillies president seem very prescient. Topps added some nice artistic detail to these cards, somewhat offsetting the lack of real photos. If you start to build the set, a really cool pattern emerges. Laid out side-to-side, the background pictures turn into panoramic stadiums! Today's the first day of 2010's World Cup, a 32-country, month-long competition that whittles down to a single champion. It and the Olympics pretty much define high-profile international sports. Major league baseball's own "World Series" includes ever-growing numbers of foreign-born players, but comes from very different roots. Much less controversial, this 18-card insert to SSPC's magazine reprints a distinctive (and expensive) 19th-century set made by Scrapps Tobacco, framed on a white background. Most good info on those rarities comes via auction houses. 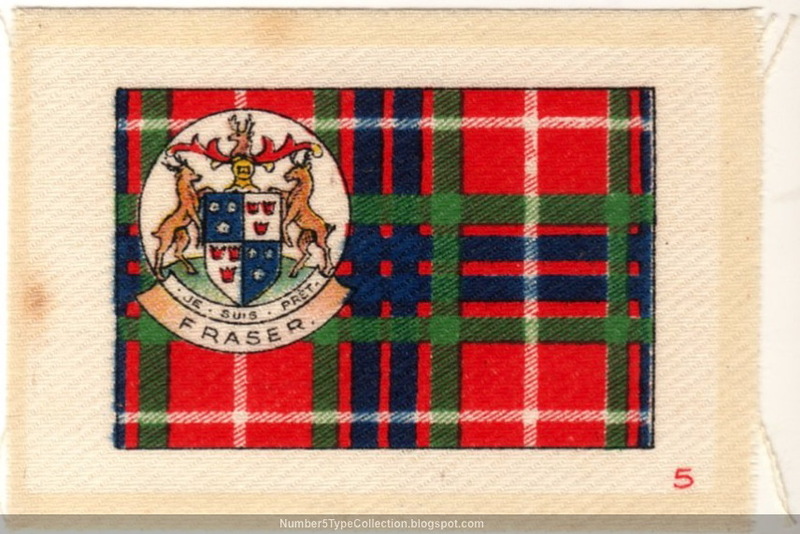 Here's one example (with scans) from Robert Edward Auctions (with whom I have no affiliation). 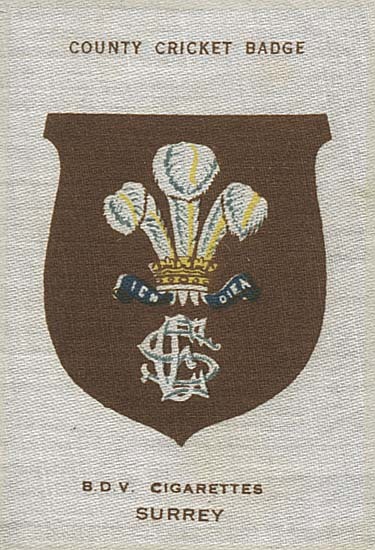 Want to know more about 19th-century champions? 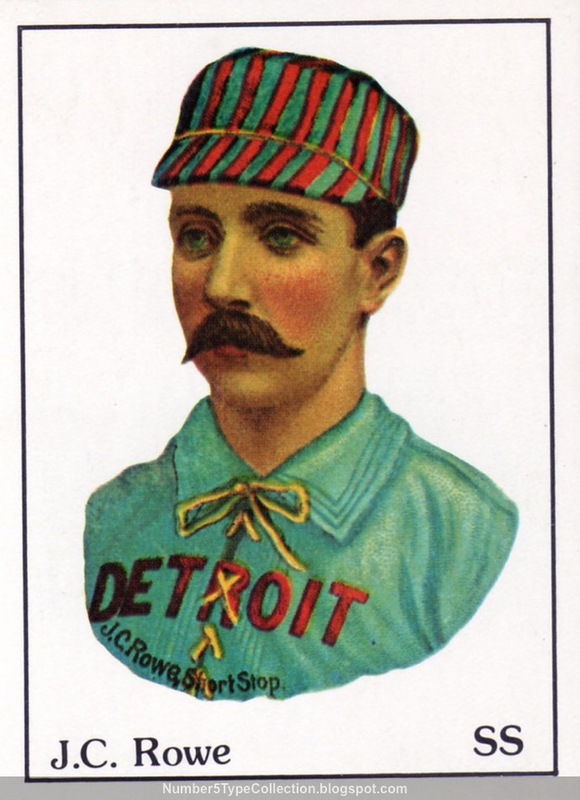 See Wikipedia's article on baseball's World Series precursors. Value: Oddballs from the 1970s rarely cost more than $5. I bought this on eBay for $3. Fakes / reprints: Since it's already a reprint of the Scrapps die-cut set, I doubt anyone would take the trouble. Recent #5 site follower Beardy, of multiple card blog fame, is also a key part of this year's Gint-A-Cuffs card opening competition. I'm highlighting it now, since the sign-up ends on June 25, a scant two weeks from today. So what is this thing called Gint-A-Cuffs? 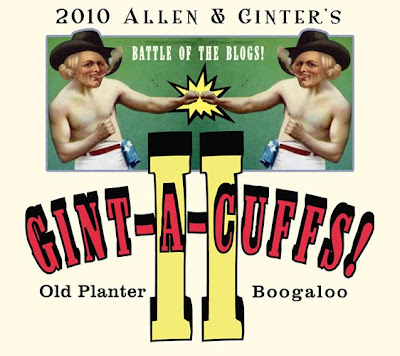 In one sentence, it's a way for 2010 Allen & Ginter collectors to see tons of cool cards, throw their favorite players into a scrum, and talk a little cardboard smack. Modern card folks should definitely check it out. Contest rules thus! Lifetime O's fan Beardy is more than just a virtual bare-knuckle boxer. Here are more sites of interest! Here's why you should read more, kids! Just this week, I learned much more about the multifaceted perfect storm that lead to Kellogg's long-running line of packaged cereal cards and today's bespectacled #5, Al Cowens. Follow that progression and BAM! You end up with baseball players in boxes of 70s and 80s cereal. Kellogg's chose to wrap each card in a plastic sleeve within the Corn Flakes (or whatever) instead of printing them on the box. Unlike the 1960s Post sets, this meant young collectors couldn't see who they had until it was time to eat. While I already knew something about the union's growth, my recent read of Dave Jamieson's new book Mint Condition filled in this story--and a great deal more--in satisfying detail. I highly recommend it as history of both card collecting and baseball in general. 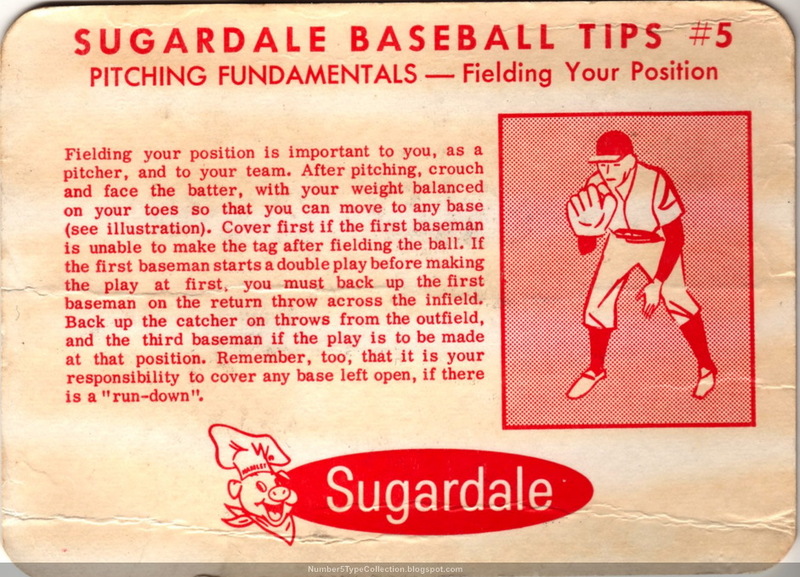 Kellogg's leapt into baseball with XOGRAPH's 3D cards, a thick-stock design that survived food packaging better than normal cardboard. They created the distinctive illusion of depth by texturing its plastic surface and "blurring" the background, pretty much what you see here. Holding and tilting the card makes Al "move" a little side-to-side, like a poor man's hologram. 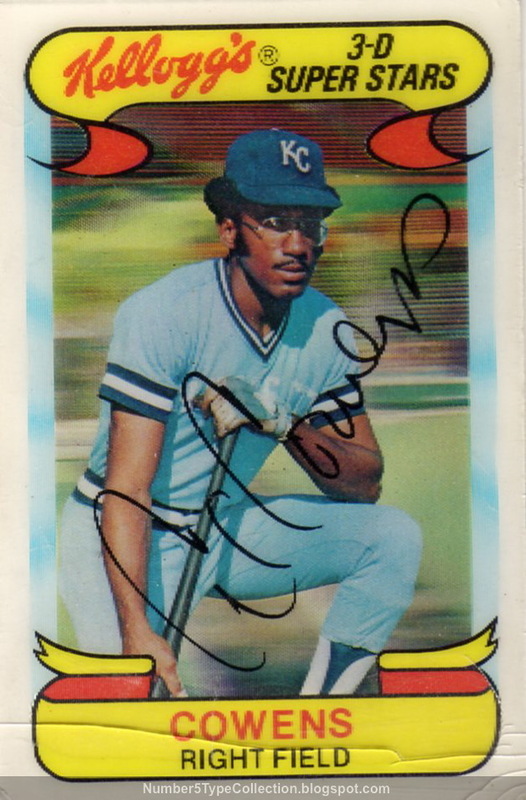 I really like how this card echos KC's powder-blue uniform on its outside edges. They also gave Al a huge autograph, relative to the usual "bottom third only." Card blog Dinged Corners recently asked people to nominate the best glasses on a baseball card. While Al Cowens doesn't have the awesome shades of a Bob Watson, he's clearly a serious batsman with a job to do. Value: "Common" Kellogg's cards cost a dollar or two, depending on condition. 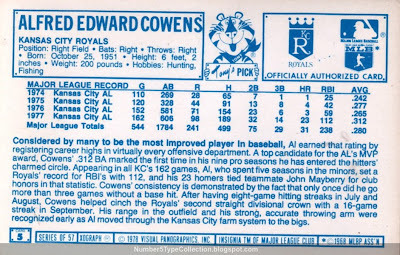 A friend sent Mr. Cowens--with obvious surface cracks--to me for free a few years ago. Fakes / reprints: It'd be tough to fake a Kellogg's card and I haven't heard of any in the marketplace. Recent #5 site follower Dodger Bobble runs an entertaining blog by the same name, serving up what the world needs more of: BOBBLEHEAD DODGERS! From "Another Bobblehead for the Collection"
That is a sweet, classy Hollywood picture of a man and his unstable cranium. And you know that no one knows unstable craniums like L.A. While the site covers a variety of Dodger topics, actual bobbles get loving profiles like the photo-friendly May 18th Andre Ethier giveaway. "Hey, I can see my town from here!" Dodger Bobble has already pumped out more than 100 posts since March, kicking off when he received tickets (and L.A.'s bobblehead promo schedule) for their 2010 season. That's a serious accumulation of reading material. 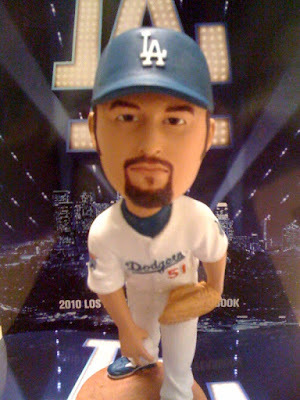 See Dodger Bobble for more sweet Dodger coverage! 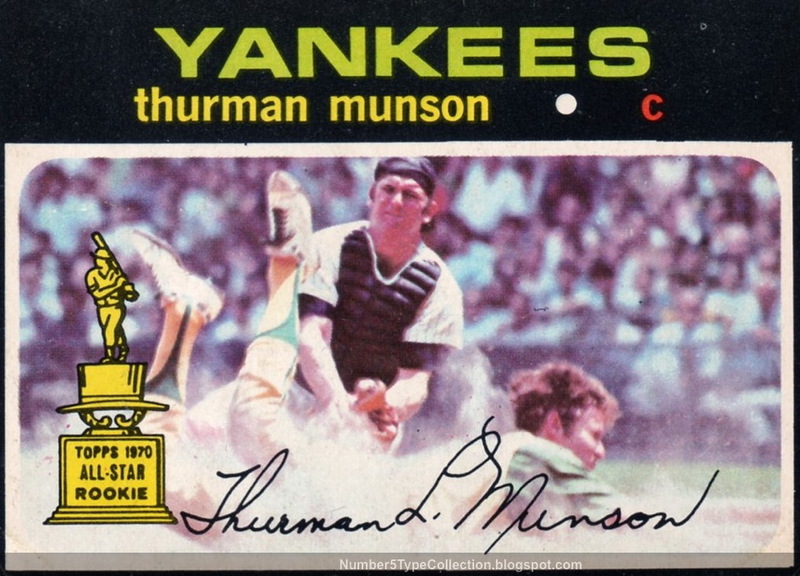 Born on June 7, 1947, and Yankees team captain from 1976 until his accidental death in 1979, Thurman Munson. 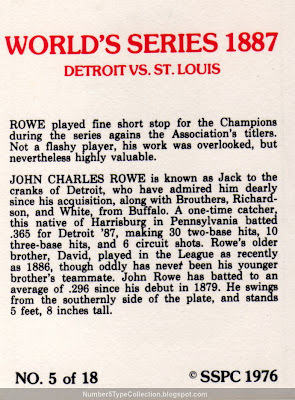 While card photography slipped badly after baseball's expansion in 1969, this card is one of the decade's best. It's got a great action photo, the Topps All-Star Rookie trophy, and one of the 1970s top players. Like Munson, it's the complete package. New York's fielded many fine catchers over the years, including Bill Dickey, Yogi Berra, and Elston Howard, but Thurman's the only one to take the captain's role. Munson rewarded this honor with an MVP season in 1976 and proved essential to their 3 straight World Series appearances. Canadian card maker O-Pee-Chee (OPC) based this set on Topps' own release, but with a redesigned back that allowed for French text. 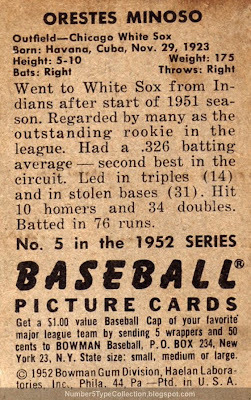 1960s OPC checklists typically stopped at two or three hundred cards, but 1971 matched Topps card-for-card at 752 total. Several of its players appear on updated teams, so I assume it came out after Topps started issuing cards in the US. (It also got some extra Expos, to better interest Canadian fans.) Rather than list the changes here, just check out Oh My O-Pee-Chee's 1971 blog posts! 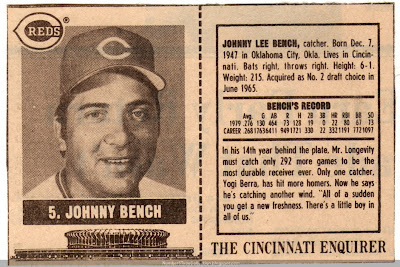 Value: While notably rarer than Topps versions, 1971 OPCs haven't taken off in value. Low-grade Munsons cost $20-$40 in either set. 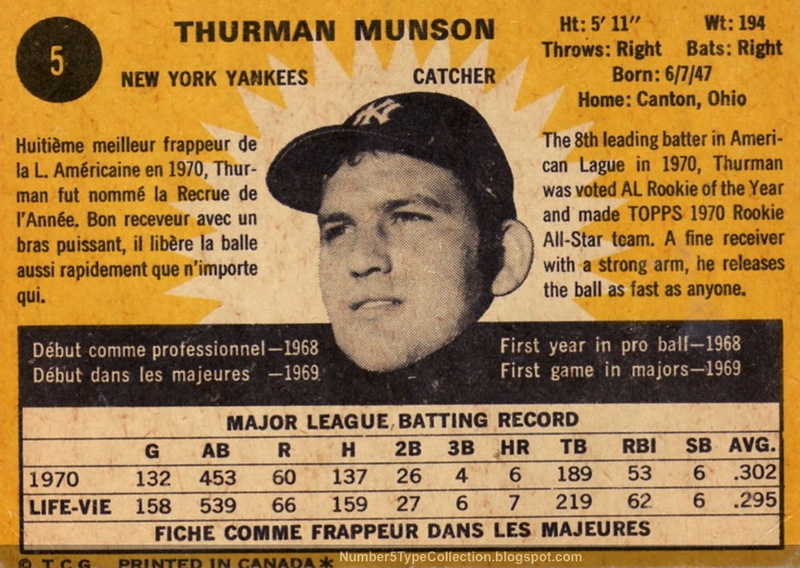 Fakes / reprints: 2010 Topps includes a reprint of the American Munson in its "Cards Your Mother Threw Out" subset. Not sure if anyone faked the real thing, but it's definitely possible. 1971 OPC came on cheaper, whiter stock than US cards, and use less gloss. Already plagued by chipping black borders, Canadian edges also fray more easily, making it tough to find high-grade examples. 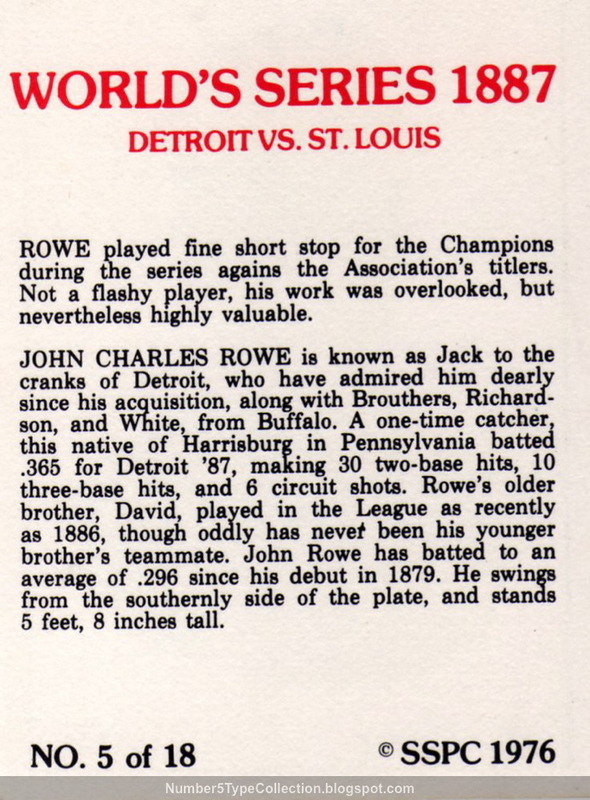 There's not much known about these oddball cards, at least in major price guides. Daily newspaper The Boston Globe apparently printed them to honor past Red Sox, but probably also as a way to "convert" their 50s and 60s photo archives into a salable product. This photo's a claustrophobic close-up of Lou Berberet, part-time catcher for several AL teams, including a 1958 half-season in Boston. 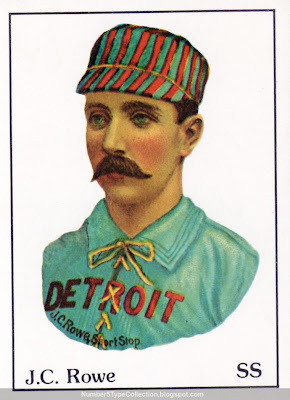 Always good with the glove, his batting unfortunately dropped off a cliff after age 27, and Lou stayed near the Mendoza line for the remainder of his career. 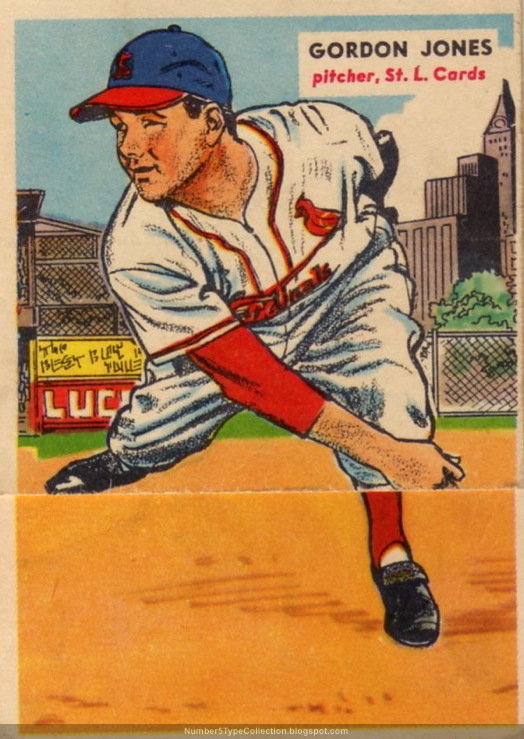 Note how classic Bowman designs reappear on the front (1953 profile) and back (1955 profile), though with lower-quality execution and almost no embellishment. Various sources place the release year anywhere from 1978 to 1981 and mention "Series I" (50s) and "Series 2" (60s) designations. This could mean they started distribution at the earlier end and continued to print cards into the 80s. The card back includes a trivia question that asks about Boston's last tie game. Though ties don't really happen anymore, baseball rules do allow for them in specific situations. "In Major League Baseball, games end with tie scores only in rare cases when conditions make it impossible to continue play. A tie game does not count as an official game in the standings unless it is finished later or replayed; however, individual player statistics from tie games are counted...Previously, curfews and the absence of adequate lighting caused more ties and shortened games." Here's more, in case you didn't know about baseball curfews! "Curfews were fairly common in the major leagues into the 1950's and 60's. The initial impetus was World War II, during which there were curfews to accommodate dim-outs (as in "dim" the lights) to save energy. Games all over the country had curfews putting a limit on how long a night game could last. By the 1970's night games could last as long as it took." Fakes / reprints: Haven't seen enough of this set to know if any fakes exist, but there can't be much of a market for them. This is one of my favorite #5s ever. Even as Topps broke out with its larger, "modern" 1952s, Bowman polished their mini-painting concept to a shining diamond of excellence. He's from Havana! Cuban players started signing in the majors after Jackie Robinson's debut. 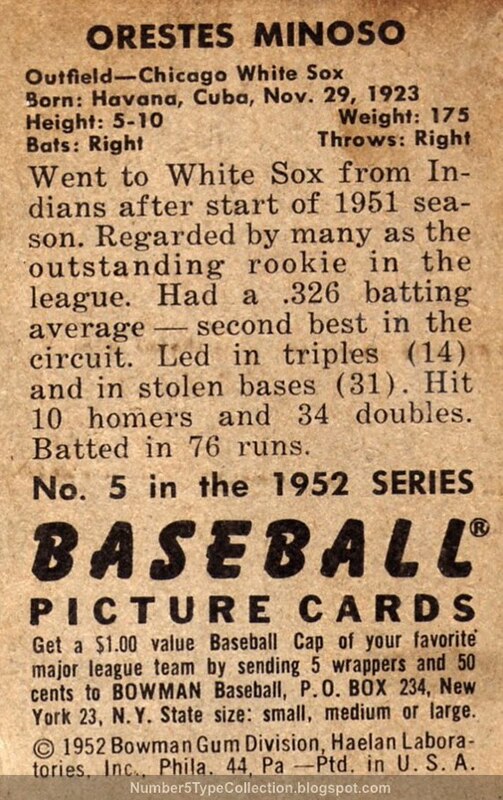 Minoso started in 1949 and went on to star for 4 teams, primarily Chicago and Cleveland. 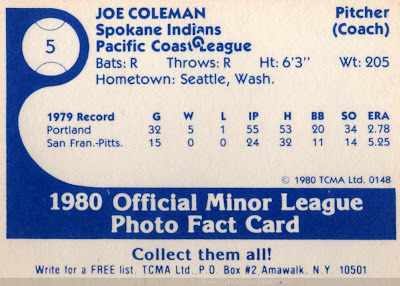 I kinda miss "text" card backs, but acknowledge the shift to baseball stats also encouraged young collectors to learn about numbers and math. Score one for education! Value: Minoso still has plenty of fans, so definitely costs more than "common" money. Low-grade versions run $10 to $20. 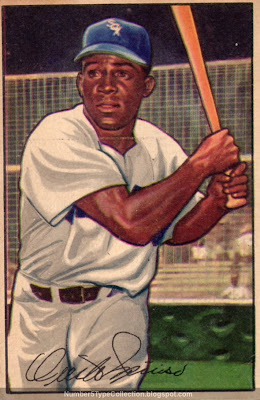 Fakes / reprints: People have reprinted the entire 1952 set, so be aware of "too-white" stock or cards with too much gloss.